The proliferation of DAC-integrated amplifiers continues apace, and I couldn’t be happier. The audio establishment is wrapping its collective head around the fact that most folks have little interest in littering their living rooms with multiple components, and just want one box that can do everything. But until now, there have been precious few integrated amplifiers with Swiss-Army-knife flexibility. 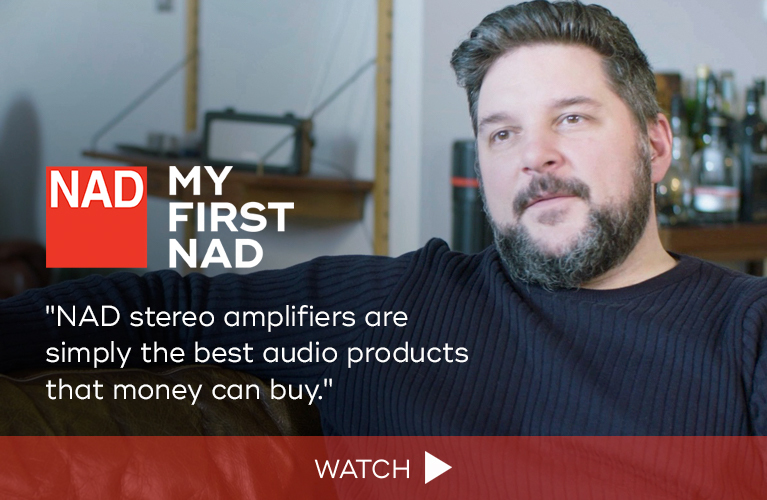 Most omit tone controls and a discrete headphone amplifier, and the numbers of analog inputs in these digital-friendly devices has been considerably reduced, while a home-theater bypass is no longer a standard feature. And despite the vinyl revival that some of us are enjoying, a built-in phono preamp is more the exception than the rule. Which is why Parasound Products, Inc., of San Francisco, set out to build the ultimate, most affordable, most fully featured DAC-integrated around -- one that would include all of these features and more. Enter the Halo Integrated, an affordable little beast at $2495 USD. Parasound Products was founded in 1981 by Richard Schram, who is still the company’s CEO. Parasound products are manufactured in three factories in Taiwan, one continuously since 1982, and they undergo rigorous quality control on both sides of the Pacific. Famed circuit designer John Curl has been consulting for Parasound since 1988, and his expertise has filtered down into the innards of the Halo Integrated -- the Hint, as Schram likes to call it. Schram’s philosophy speaks to me. 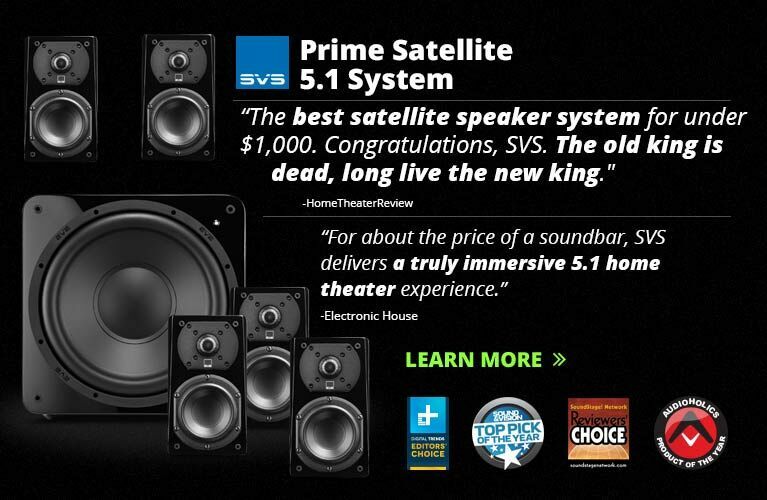 On the Parasound website, he states: “we offer the most performance for the money by finding the sweetest spot between price and diminishing returns. . . . Most of our customers don’t have trust funds and have to work for their money -- so we give them their money’s worth and then some.” A man after my own heart. At 17”W x 5.9”H x 16.1”D and 33 pounds, the Halo Integrated is burly, and bigger than my reference DAC-integrated, Hegel Music Systems’ H360 ($5700). Available in silver or black, it’s an exercise in value-based conservatism: a simple folded-metal chassis with “Parasound” stamped into the top panel is complemented by a classy front panel of thick, brushed aluminum. Given that the front panel is all most listeners will ever see of the Hint, this strikes me as perfectly pragmatic. Soft blue running lights adorn the Hint’s face, which is modest and décor friendly. The remote control is a simple, functional piece of plastic that worked well, with dedicated buttons for Volume Up/Down, Mute, On/Off, Inputs 1 through 5, Optical, Coaxial, USB, Phono, Aux, Bypass, and Tone On/Off. The remote is even backlit, to ease nighttime operation. The Hint’s feature set is the most impressive I’ve seen in the segment. At mid-height on the left side of the front panel are a 1/8” headphone jack, a 1/8” Auxiliary minijack input (with an extra 12dB of gain), and Bass and Treble knobs with their defeat button. On the right side are the Input, Sub Level, and Balance knobs, and at the far right a large, nicely finished, motorized volume knob with an illuminated level indicator. At the extreme left and right of a shallow groove that runs along the bottom of the faceplate are oval, backlit buttons for On/Off and Mute: On/Off glows red at startup, and blue when the Hint is warmed up; Mute glows red when activated. It’s the little things that count. Between these two buttons runs a row of tiny blue LEDs that indicate which of the 11 inputs has been selected. On the rear panel are the de rigueur five-way speaker binding posts, and these are terrific. Analog inputs are plentiful: five single-ended (RCA), one balanced (XLR). The phono stage has three load settings, selectable with a toggle switch: one for moving-magnet cartridges (47k ohms), two for moving-coils (100 ohms, or 47k ohms). The three digital inputs are asynchronous USB, coaxial, and optical. An unbalanced Theater Bypass connection is present and accounted for, as are two subwoofer inputs. Outputs are numerous: balanced (XLR); dedicated subwoofer (XLR); Fixed Record (RCA); Preamplifier with defeatable High Pass filter and frequency-selector knob; and two unbalanced Subwoofer (RCA) with defeatable Low Pass filter and frequency-selector knob. There are also 12V triggers, IR input and Loop functionality, an AC Voltage Selector (115/60Hz or 230/50Hz), a master rocker switch for Power, an IEC power inlet, and a Ground post. Short of wireless and streaming capabilities, the Parasound Halo Integrated covers just about everything. I want to pay special attention to the Hint’s unbalanced Subwoofer and Preamp outputs. I’d never encountered a pure stereo integrated that included built-in analog bass management. The high- and low-pass filters use second-order (12dB/octave) slopes, and their frequency knobs let the user adjust their crossovers between 20 and 140Hz. That each of these can be activated and set independent of the other, and that the Hint can manage two subwoofers, will be a boon to those with a 2.1 or 2.2 system. The Hint’s class-AB power-amplifier section is based on a cross between Parasound’s Halo A 23 and A 21 stereo amplifiers ($995 and $2495, respectively), while its preamp section was inspired by the Halo P 5 DAC-preamp ($1095). The amplifier section uses JFET inputs, MOSFET drivers, and a dozen bipolar output transistors to produce a stout 160Wpc RMS into 8 ohms or 240Wpc RMS into 4 ohms, 20Hz-20kHz, both channels driven at “average listening levels,” with less than 0.01% total harmonic distortion -- or less than 0.05% THD at higher levels, at 160Wpc into 8 ohms. And at 0.9% THD, the Hint is specced to output 180Wpc into 8 ohms or 270Wpc into 4 ohms. Its damping factor is a claimed >800 at 20Hz. 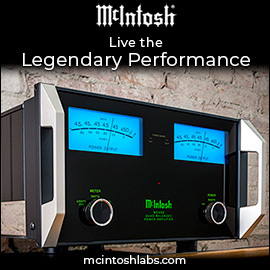 The relatively substantial dual-mono power supply and high-current output devices help the Hint reach a peak current capacity of 45 amps per channel -- a solid amount of amplifier for the money, with enough current to manhandle challenging loads, and enough power into 4 ohms to produce plenty of volume from inefficient speakers. The Hint’s DAC section is built around the increasingly common ESS Sabre32 ES9018K2M chip, cousin to the ubiquitous ES9018 chipset used in all manner of standalone, high-end DACs. This K2M variant supports signals of resolutions up to 32-bit/384kHz via the USB input, and to 24/192 via the coaxial and optical inputs. DSD support is native: the Hint accepts DSD64, 128, and 256 signals, as well as DSD via PCM at 384kHz. With such an array of connectivity, I was able to test the Parasound Halo Integrated in a variety of ways. I mostly used its digital inputs, but also briefly tested the Hint’s analog inputs using Arcam’s irDAC (via RCA) and Benchmark Media Systems’ DAC2 DX (via XLR). As I don’t own a turntable and am allergic to vinyl, I was unable to test the Hint’s phono input. I also briefly tested the Hint’s headphone amp, using NAD Viso HP50 and Pryma 0|1 headphones. Proper setup went something like this. I used Dynamique Audio Caparo and DH Labs Q-10 Signature speaker cables with KEF’s LS50 stand-mounted speakers and Monitor Audio’s Bronze 6 floorstanding speakers, as well as with Definitive Technology’s Mythos ST-L powered speakers. Due to the Hint’s built-in bass management, however, I predominantly spent time with the KEF LS50s ($1499/pair) and JL Audio’s Dominion d018 subwoofer with 8” driver ($799.99), as I figured that these are within the budgets of those willing to spend $2495 on a Halo Integrated. In fact, Richard Schram told me that he and four others at Parasound own LS50s, and that their tech department uses them extensively. I connected the JLA sub to one of the Hint’s dedicated subwoofer outs and, per the thorough instruction manual, set its high- and low-pass filters to 80Hz. I adjusted the Dominion sub’s output until it sounded well integrated with the KEFs’, then dialed back the sub’s output just a touch with the Sub Level knob on the Hint’s front panel, to compensate for some wicked room modes. The Hint never got more than warm to the touch, but it wasn’t the quietest integrated amp I’ve heard -- my speakers produced a low hum that I could hear from up to about 2’ away. I love me some class-AB amps. Usually, they can put out healthy amounts of power and current, and sound full of delicacy and body, for reasonable money. 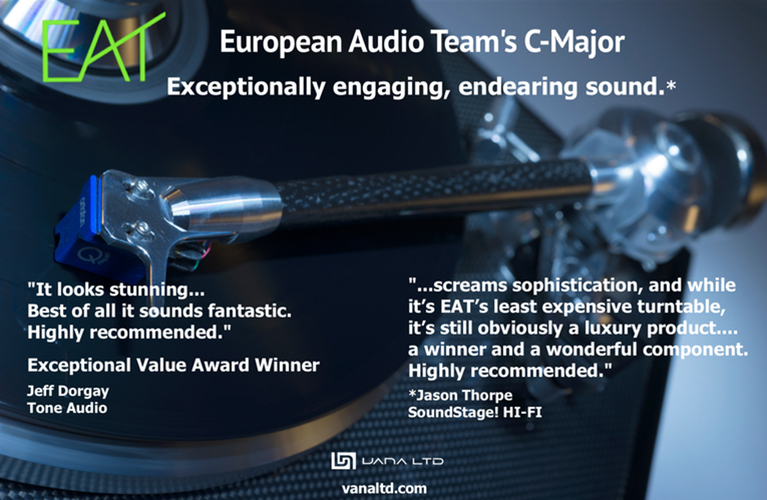 As a rule, they don’t have the sweetness and dimensionality of a tubed or class-A amp, nor will they have the clear-as-day sound of many class-D designs. But to my mind and ear, class-AB amps are the most flexible, euphonic, and cost-efficient options available to budget-minded audiophiles. Many class-AB integrated amps sound broadly the same, the differences between them amounting to minute tonal colorations, deliberate injections of warmth and bloom, and mildly differing levels of outright transparency and resolving ability. But more than any other class-AB amp I’ve heard -- including my own reference, Hegel’s H360 DAC-integrated amplifier, which at $5700 costs twice as much -- the Parasound Halo Integrated struck me as sounding perfectly neutral. Its balance of neutrality and musicality was pitch perfect. I wasn’t able to hear any inherent sonic personality or artifacts that gave even a hint of the Hint’s presence in my system. It’s remarkable that a box full of components -- a DAC, a stereo preamplifier, and a stereo power amplifier, each with its own issues of complexity and electrical noise -- could work so well together to produce so thoroughly uncolored sound at such an affordable price. Which invites the question of what something so chameleonic might “sound” like. Well, the Hint just sounded right. I began with a standby of mine: “Stubborn Love,” from the Lumineers’ monster eponymous album (16/44.1 ALAC, Decca). 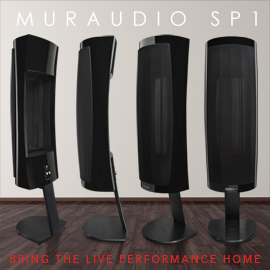 I found myself terribly enamored of what the Parasound’s sterling neutrality, allied with the KEFs’ impeccable imaging and soundstaging, could do with lead singer Wesley Schultz’s voice. The Hint’s even handling of the midrange was exemplary: a captivating marriage of smoothness and detail. The central image of Schultz’s voice was big and vivacious, with a full-bodied purity that imbued this ballad with a palpable sense of presence. Kick-drum thwacks appeared well behind him in the mix, as other percussion sounds danced around on the outskirts of the soundstage. Most impressive was the scale and stability of that overall stage. Affordable amps sometimes fall short in this respect, rounding off the edges, making the soundstage less wide and/or deep, and thus flattening everything in between. Not here. The Lumineers’ Wesley Schultz and Jeremiah Fraites teamed up with Suzanne Collins for the Platinum-certified “The Hanging Tree,” a haunting song from the soundtrack of The Hunger Games: Mockingjay -- Part 1 (16/44.1 FLAC, Republic). Jennifer Lawrence doesn’t have the most musical voice, but the raw, unfiltered feel of this track adds an authenticity to the performance so often lacking in popular music these days. Lawrence’s dense, wavering voice displays all manner of beautiful, unscrubbed imperfection, and the Halo Integrated reproduced it beautifully. The tempo of the song accelerates throughout, and while the Hint wasn’t the most lithe or athletic amp I’ve heard, neither did it impose on the music the sort of saccharine sweetness and warmth that can turn bracingly complex music into a lumbering mess. Even as Lawrence’s voice is joined by a chanting crowd (considering this film, more likely a mob), I found it effortlessly easy to distinguish individual voices in the crowd -- and the sound of marching feet was clearly that of a group of individuals rather than a single morass of sound. Part of the beauty of the Hint’s neutrality was how clearly it revealed the sonic characters of the components it was hooked up to. When I played “Brothers in Arms,” from Junkie XL’s soundtrack music for Mad Max: Fury Road (16/44.1 FLAC, Sony Music), through the KEFs and the JL sub, this frenetic track’s midrange fury of testosterone-addled drums, strung-out strings, and twitchy synths sounded richer and weightier than I’d grown used to hearing them through other speakers. Transient decays, and upper-midrange snap and articulation, were a touch muted through the KEFs in comparison with Monitor’s Bronze 6 towers. The Bronzes forwent smoothness and midrange heft, opting for a more raucous sound characterized by pace, immediacy, and huge dynamic swings. 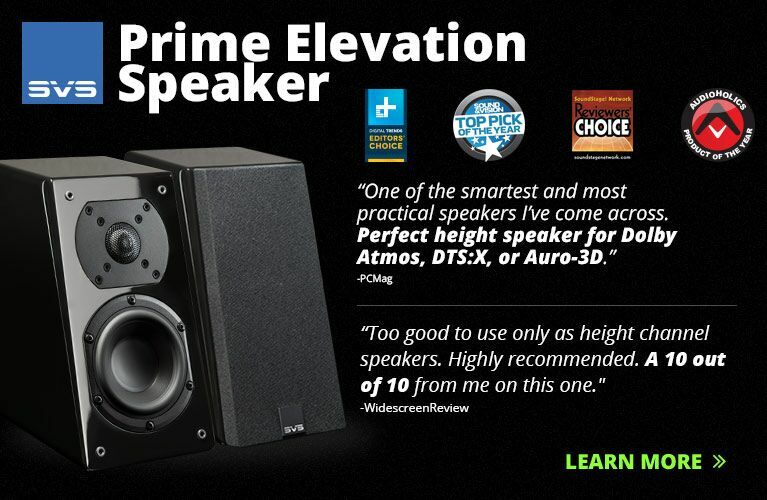 My reference full-range speakers, Definitive Technology’s Mythos ST-Ls, fell somewhere between the KEFs and Monitors, with an immaculate midrange that combined most of the Monitors’ pomp and circumstance with the KEFs’ more cultured, refined sound. The speakers, of course, always have the final word on a system’s sound, but in my book, eliminating any biases upstream of them is an emphatically good thing. Its beautiful midrange aside, the Halo Integrated’s treble and bass performance were cases of out of sight, out of mind. In week after week of listening, neither particularly grabbed my attention -- a good thing. Again, the Hint’s sound was largely defined by whatever recording I was listening to. 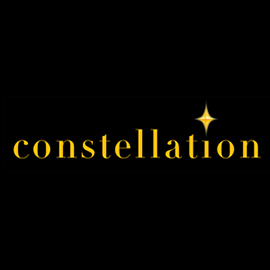 With the expansive and incredibly spirited “No Time for Caution,” from the deluxe version of the Interstellar soundtrack (24/44.1 FLAC, WaterTower Music), what I consistently heard from the Hint was extended treble extension that did an enviable job of re-creating scale. Some class-AB amps, such as my old Hegel H300, have a sparkling, crystalline top end regardless of what speakers they’re driving. The Hint didn’t. By contrast, it sounded almost a touch dark or romantic, whereas the Hegel’s slightly pronounced treble made almost any music spring to life. In terms of bass, the Hint could articulate oodles of texture from the pummeling organ tones in “No Time for Caution,” even if it lacked the tight-fisted, start-stop pace and brutal impact of significantly more costly amps. No matter -- I found the Parasound’s bass performance in perfect harmony with its reproduction of the rest of the audioband. It also served its role with the JL Audio subwoofer in play: the high- and low-pass filters worked as advertised, the sub’s output integrating with that of my little KEFs as well as I could have hoped for. My brief testing of the Hint’s headphone output revealed that its Texas Instruments TPA6120A headphone amp was quite competent. Both the NAD HP50 and Pryma 0|1 headphones are relatively easy to drive, and the Hint had no trouble cleanly pushing each pair to uncomfortably loud SPLs when I cranked up the Interstellar soundtrack. I don’t know how often the average listener will use the Halo Integrated to listen with headphones, but it’s a comfort to know that no detail has gone overlooked. When I reviewed Hegel’s H160 DAC-integrated ($3500) in May 2015, I found it to be almost on a par with my then-reference DAC-integrated, Hegel’s own H300 ($5500), which I’d reviewed in December 2012. 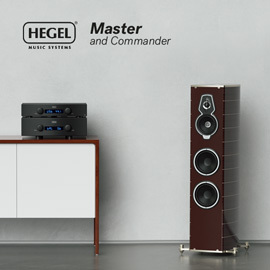 Hegel products tend to have a consistent house sound: the H160 had a bell-like clarity throughout the audioband that gave its sound a slightly forward quality -- an immediacy. Its midrange was incredibly clean, clear, and smooth, its treble mildly crystalline. Most important, I found that the H160’s bass reproduction was on a par with that of the otherwise more accomplished, more expensive H300. In short, the H160 offered tremendous impact and slam for the money. In my review, I said that “tonal colorations were nowhere to be heard.” I still believe that to be true. However, the way the H160 articulates its neutrality is where its distinctive “sound” can be discerned. The Halo Integrated costs $1000 less than the Hegel H160, and has similar power output: 160Wpc into 8 ohms or 240Wpc into 4 ohms, vs. the Hegel’s respective 150Wpc or 250Wpc. Though they’re roughly the same size, the Hegel is 1.2” shorter than the Parasound but outweighs it by nine pounds, and has plainer looks. Like the Hint, the H160 has a variety of analog inputs and outputs; a high-quality, DSD-capable DAC; and a discrete headphone amp. There the similarities end. While the Hegel includes Apple AirPlay and DLNA streaming capabilities, it lacks the Hint’s dedicated phono stage, tone controls, bass management, and wealth of analog inputs. What the Hegel H160 lacks in connectivity it makes up in sound quality. While the Halo Integrated is excellent for its price, the Hegel H160 offers a bit more in the way of transparency and detail retrieval. With a THD rating of 0.005% at 50W into 8 ohms when fed a 1kHz signal -- half of what Parasound specifies as the Halo’s minimum -- as well as a quieter preamp and power-supply pairing, I’m confident that I can hear just a little bit more through the Hegel. Then again, it’s a significantly more purposeful device that costs $1000 more than the Halo, and in terms of connectivity it can do a lot less. Whatever small sonic concessions the Parasound makes, it more than makes up for in versatility. In the Halo Integrated, Parasound has succeeded in creating the ultimate affordable DAC-integrated amplifier. It has a raft of analog and digital inputs, built-in bass management, fully featured moving-magnet and moving-coil phono stages, a discrete headphone amplifier, and defeatable tone controls -- a feature set that, all by itself, makes Richard Schram’s Hint unique among its peers. And when you include a sound of ruler-flat neutrality, top-to-bottom linearity, and a gorgeous midrange, it becomes peerless. 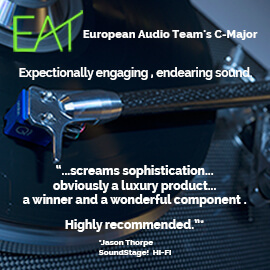 There is no better DAC-integrated on the market for $2495 or less.